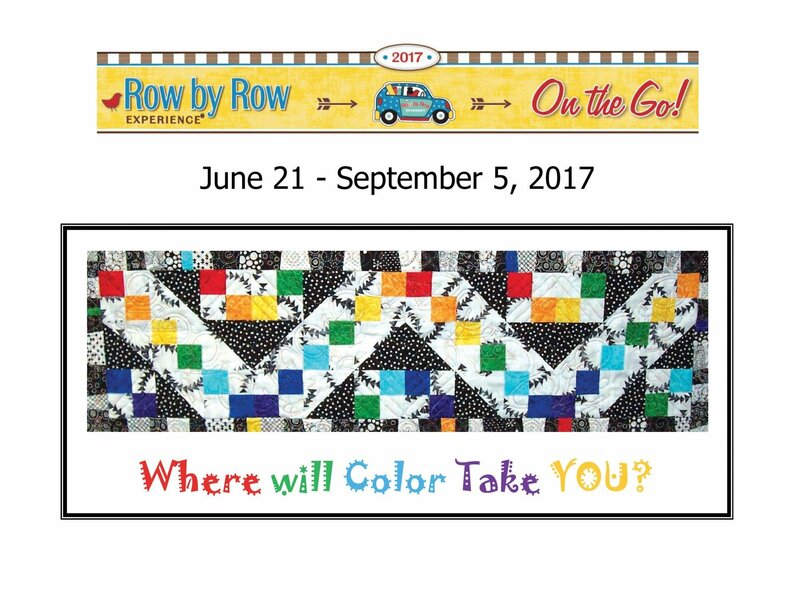 Row by Row - 2017...Where Will Color Take You? Nifty Stuff > ROW by ROW > Row by Row - 2017...Where Will Color Take You? Finished Size: 36" x 9"
the 2017 Row by Row Experience. Quilt kit features 100% Quality cotton fabrics.